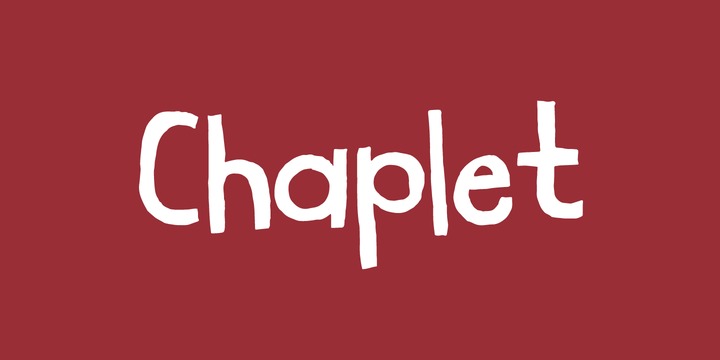 Chaplet is a handemade typeface published by Bogstav which is available in two styles (Regular & Outline). Also it has 4 different version of each lowercase letter, they automatically cycle as you type. With an organic feeling, it is ideal for any kind of project such as headline, magazine, packaging, poster, text etc. Have fun! Price: both fonts only $17,00. A font description published on Monday, October 9th, 2017 in Bogstav, Fonts by Alexandra that has 2,272 views.